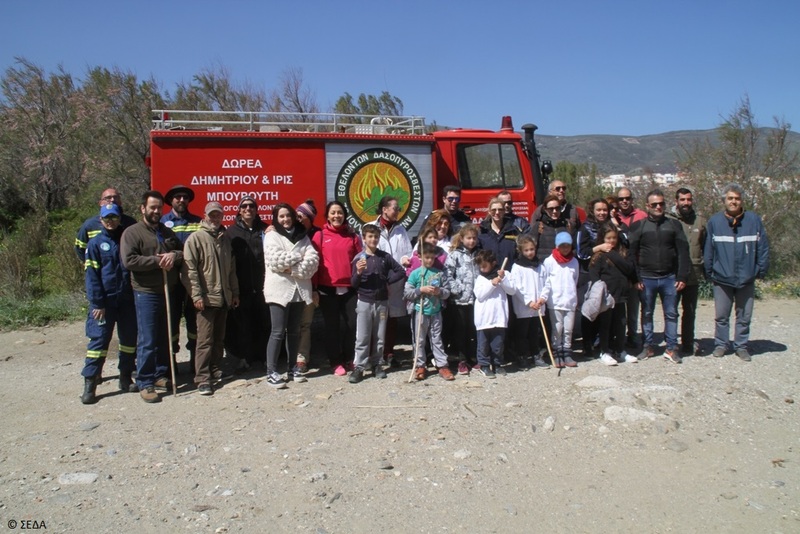 On Sunday, 24 March, the beach cleaning of Paraporti at Chora took place, following the call of the Andrion Club, the Andros Port Authority, the Association of Volunteer Firefighters of Andros – SEDA, the Andros Yacht Club and the team of the LIFE Andros Park project. 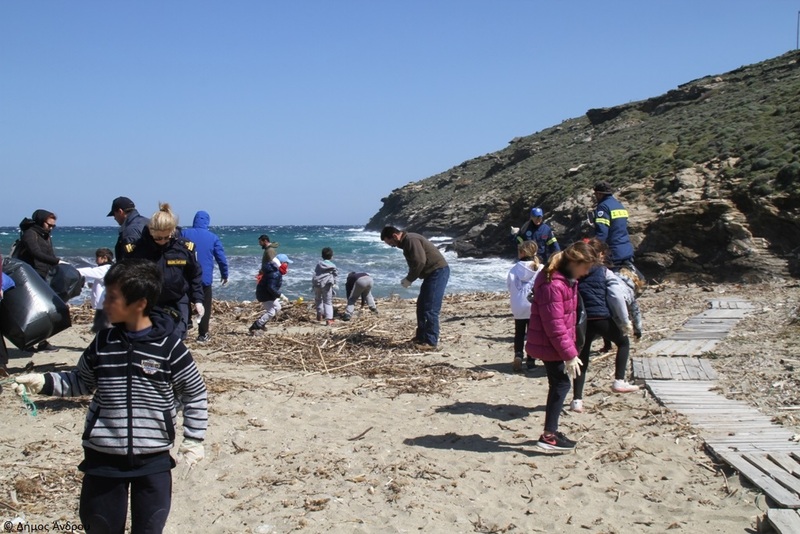 With good spirit and enthusiasm, despite the cold and windy weather, 50 volunteers cleaned the entire beach at Paraporti. 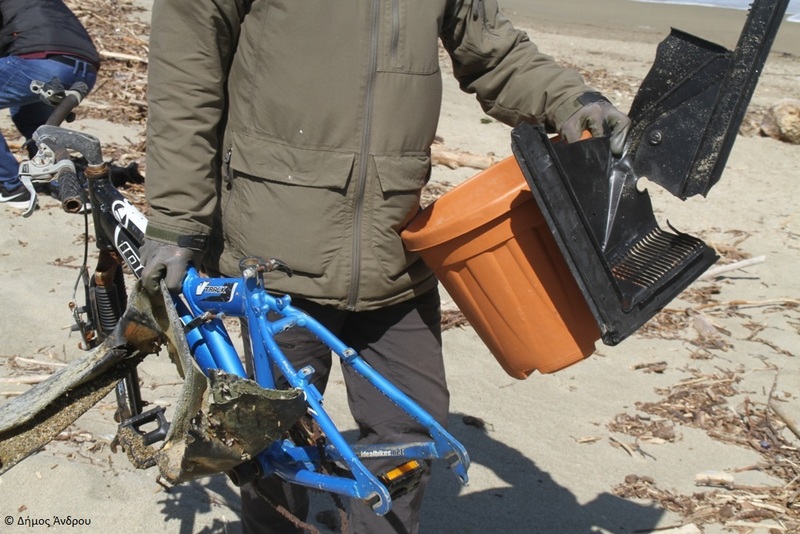 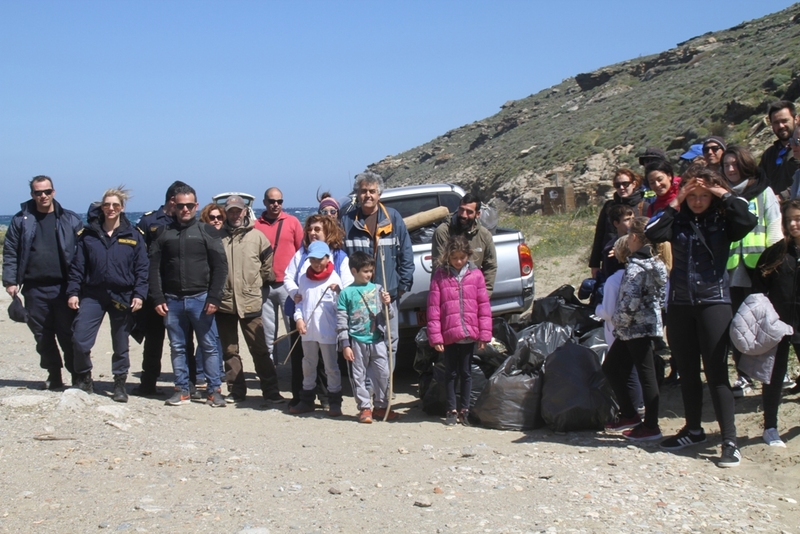 In total, more than 400 kg of marine litter was collected. 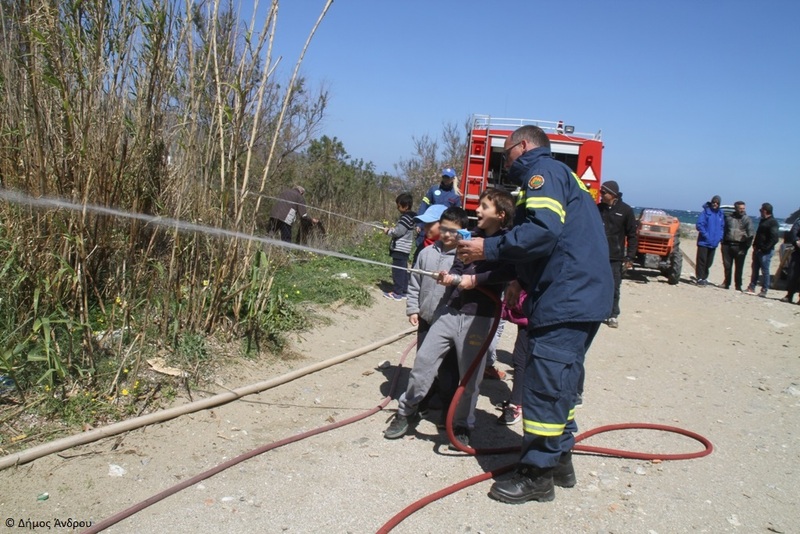 Those who participated had the opportunity to be informed on the wetland of Paraporti, marine litter and volunteerism, while the children tried the use of water hoses of the SEDA fire brigade. 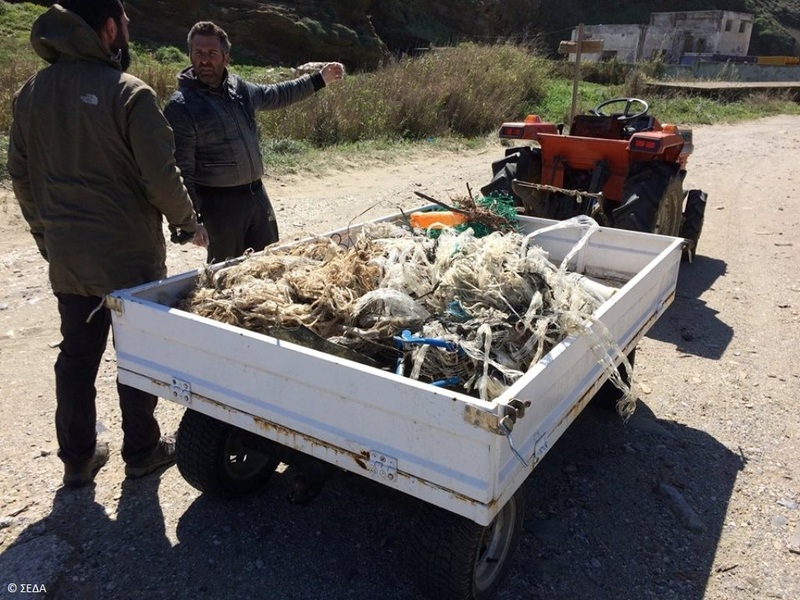 Part of the marine litter collected will be separated to categories by the team of the Municipality of Andros participating in the LIFE project, which will provide useful information on the composition of marine litter ending up at Paraporti beach. 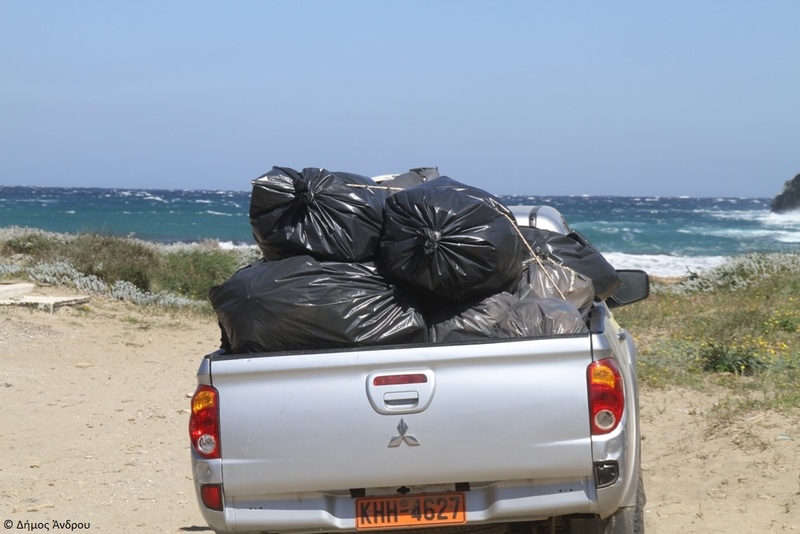 The marine litter will then be sent for recycling, as was the case with the rest of it collected. 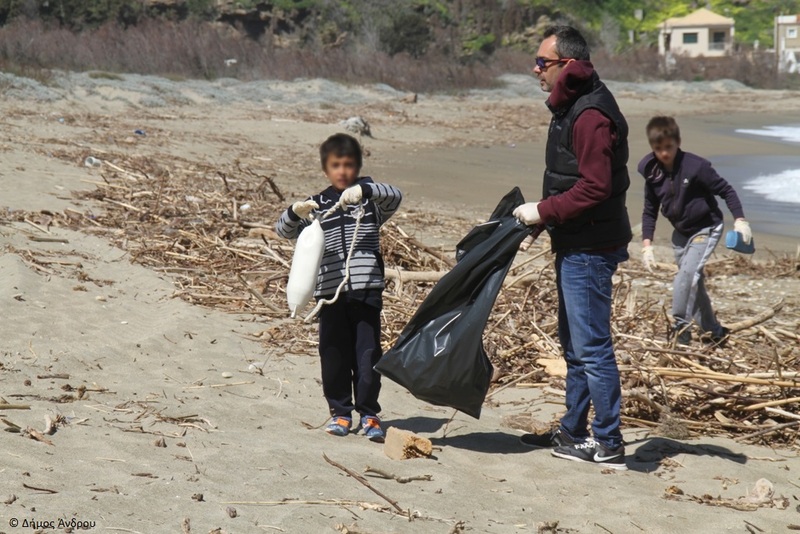 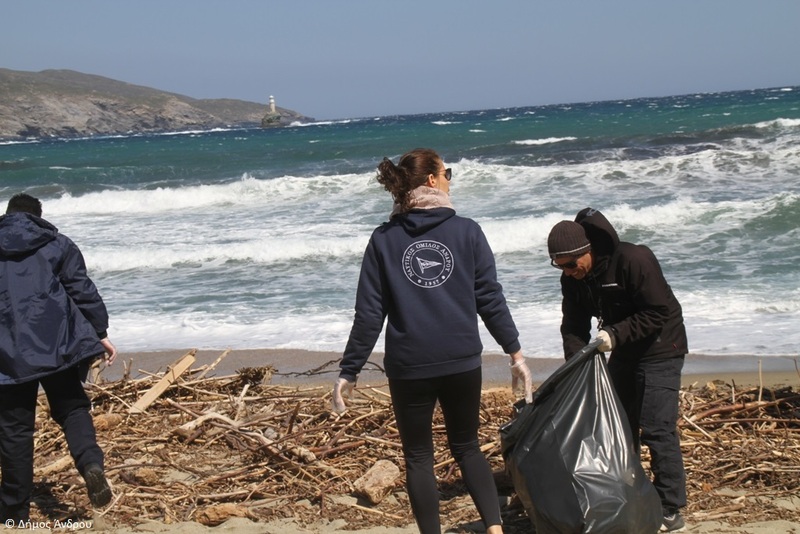 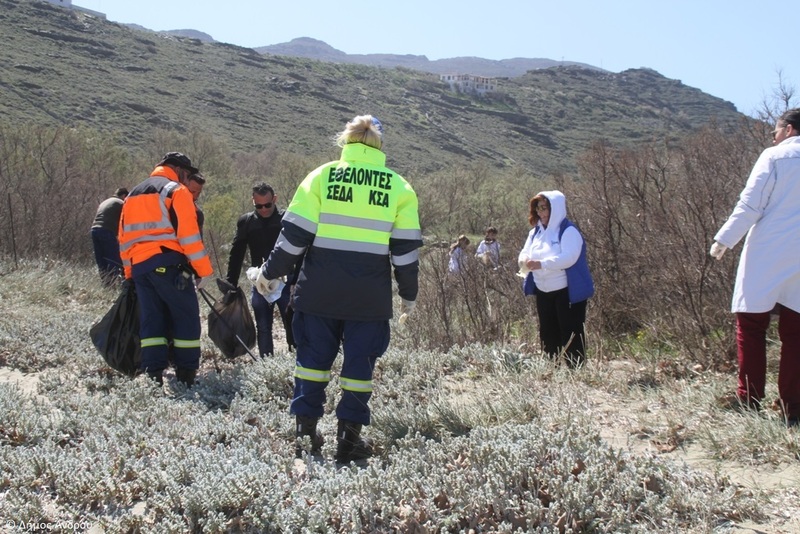 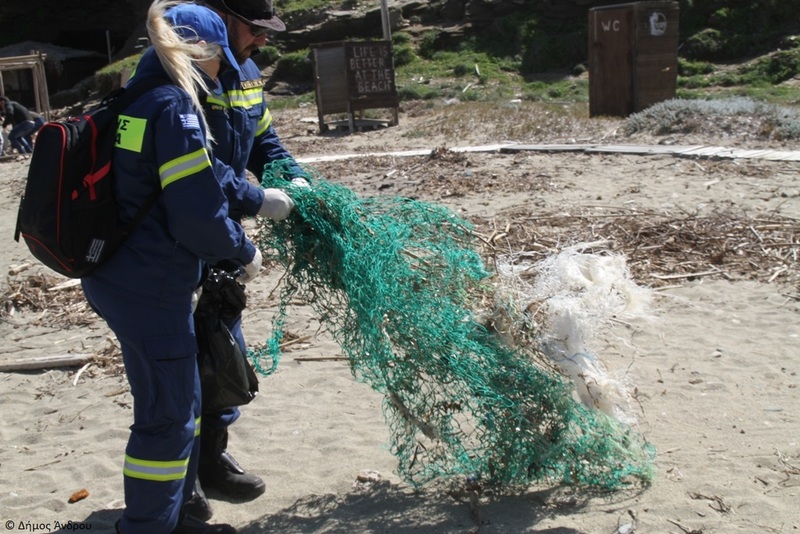 The co-organizers hope that this beach cleaning will be the beginning of a series of actions for the promotion and protection of the beaches of Andros and for raising awareness. 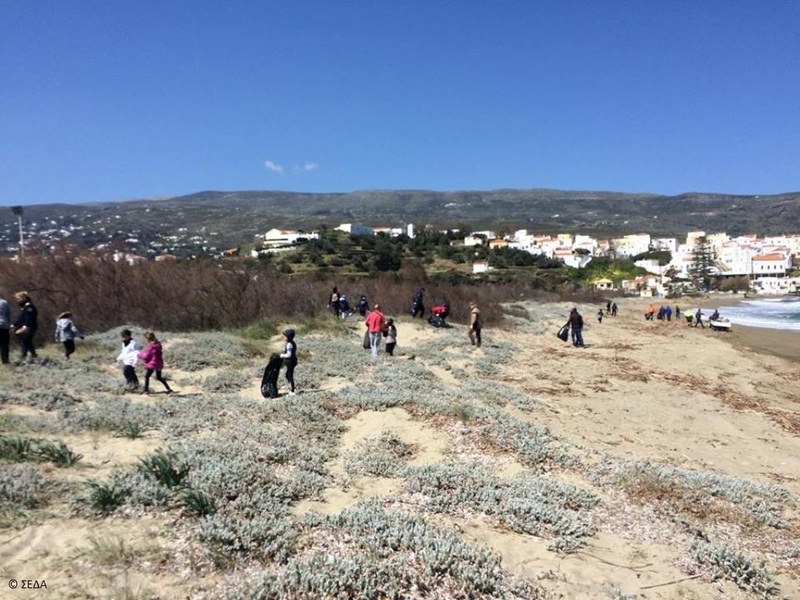 At the end of the cleaning there was a treat for all participants from “The rock”, which operates on this beach.